Anyone using a debit/credit card knows the familiar message showing ‘Verified by Visa’ or ‘MasterCard SecureCode’ at payment checkout points. It lets you know that your transaction is safe. In Bangladesh a local company’s name is being seen increasingly at many online payment points, showing that a Bangladeshi company is providing secured payment gateway with the same level of security as the internationally acknowledged service providers. That name is SSL Wireless. Software Shop Limited, more commonly known as ‘SSL Wireless’ has become one of the most important technology company in the country, promising to play a pivotal role in the country’s digital growth. Even though ‘digital’ would be considered an all-encompassing term in the present day, the presence and operation of SSL Wireless is justifiably vast to warrant that credit. Growing exponentially in the last ten years, the company has become the largest Merchant Solution Provider serving over 1500 merchants across the country through its Internet Payment Gateway solution SSLCOMMERZ. Out of the total online transaction in Bangladesh, 80% of those are processed through this gateway. But the operation of SSL spans far and beyond payment gateway solution. SSL has been focusing on the development of media and financial services and is at present serving over 25 TV and Online News Channels, with over 47 leading private and public banks, over 16 insurance companies, and over 800 corporate businesses of Bangladesh offering application software solutions including Mobile Financial Services, Messaging Solutions, Online Airtime Recharge, Online Payment Solutions, Website development, Mobile App development, Mobile VAS, Internet Banking VAS etc. along with Digital Security, Digital Marketing services and more. 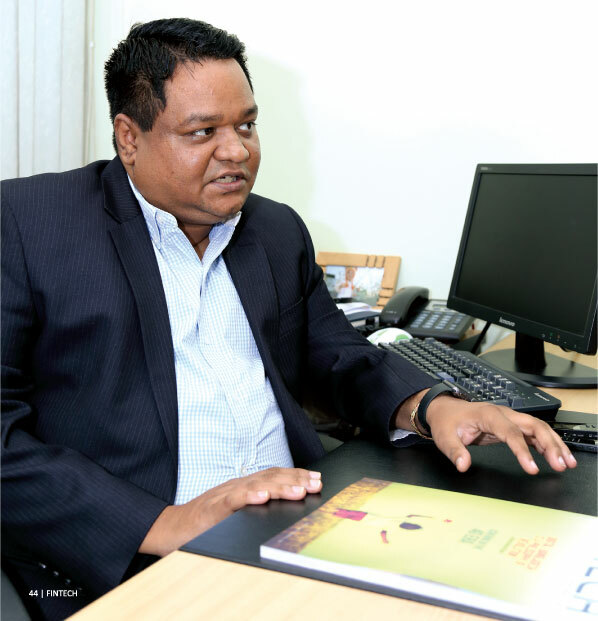 In short, SSL Wireless has become as omnipresent as mobile phone networks and as crucial as monetary transactions, virtually impacting the lives of millions of Bangladeshi people directly, and even more indirectly. We spoke to the company’s Chief Operating Officer Ashish Chakraborty to learn more about the company’s history, strategy and vision. 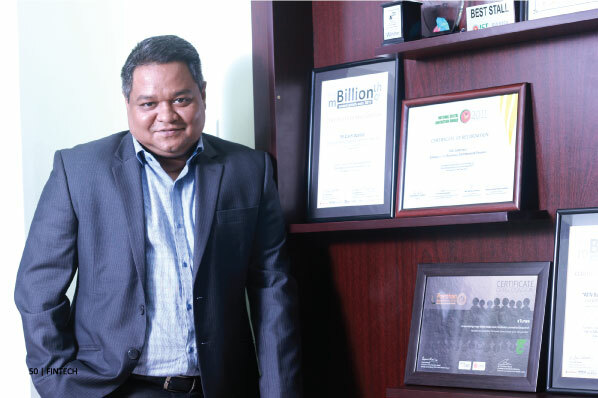 What followed was a very in-depth interview that shed light on how this SSL Wireless started, grew, evolved and has become one of the most important IT companies in Bangladesh. FINTECH: Tell us about how the company began. What was the vision when you started and how that evolved? AC: SSL Wireless started its journey back in 1999. 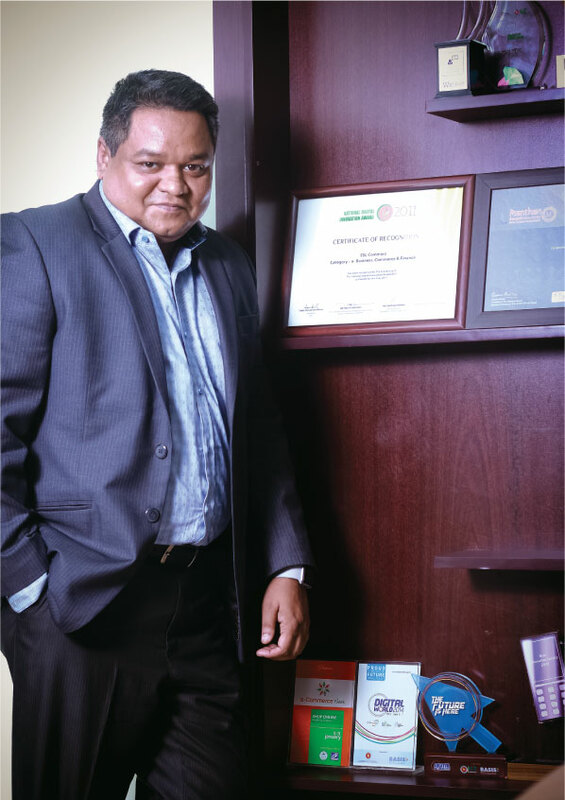 The person who founded this company is Mr Sayeeful Islam, the MD of the company, a very successful businessman and former president of Dhaka Chamber of Commerce and Industry. The company started primarily focusing on IT education in Bangladesh. There wasn’t any professionally set up IT training institution at the early 2000s in the country. We wanted to educate youths in IT. To attain that objective, we partnered with Aptech, which was the major IT education institute along with NIIT back then. We ran a number of training courses for a while. These got popularity and people started working with training from Aptech. After a while Aptech started to concentrate more on the Indian market, as it is an Indian franchise and India was experiencing huge growth in IT. We didn’t want to continue without good resources. So, we stopped Aptech. Finally, the company revamped in 2007 and thus came a new batch of employees including myself with an objective to do something out of the ordinary, something that had not existed in the Bangladesh ICT market. We wanted to work with something that would add value to the lives of people and the industry. That’s when I joined SSL Wireless. We reorganized the whole operation. Our vision was to do something in the IT industry that would be different from what others were doing. For example, now in the IT industry the typical business is selling software. Some sell inventory software, some are selling accounting software, some ERP and so on. Our thinking was that selling of these software is kind of a onetime work. You provide the solution and then give customers after-sales services. 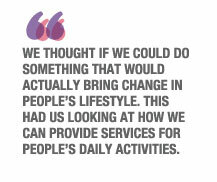 We thought if we could do something that would actually bring change in people’s lifestyle. This had us looking at how we can provide services for people’s daily activities. From 2002/03 the Value Added Service (VAS) industry was growing. The main focus of that industry was working with contents, like entertainment etc. It made contents compatible for mobile devices and gave it to the mobile phone subscribers. So, we wanted to create a package where we would deliver to the consumers quickly and efficiently. One of the primary challenges was getting those contents. FINTECH: If I can interject here, smartphones didn’t have such strong presence then, if at all. What was the format of your contents, and did you anticipate that smart device usage will grow to where it is now? AC: You are absolutely right. People didn’t have smartphones then; they had feature phones. Two kinds of services were available then, one was the SMS related service and the other was the call related service. We started to deliver news through mobile phone services using a technology called Interactive Voice Response (IVR). At that time people used to listen to BBC News a lot and ETV News was very popular too. We partnered with different news media to deliver the news to mobile subscribers. News media have news, we have technology conversion, and the mobile operators have platform or reach. We combined the three. This involved preparing breaking news in SMS format, and using IVR we delivered recorded audio news, which a mobile user could listen to by dialing a number. That was our initial model. However, we did anticipate that technology will move onto more sophisticated mobile phones. So, we also started to prepare video contents. We started to record interesting parts of TV plays, talk shows etc. You know that at that time the technology infrastructure wasn’t there to support big stream online. Data was very costly. So, we made small excerpts of one minute or a few minutes. We created these snippets and started to deliver them to people through mobile network companies. This was the point when we rebuilt the company. Later, we started to think about what else we could do. We noticed that the technology in the banking and financial industry is not customer centric. Let me explain what I mean by that. Banks use software to conduct their works. But the role of the software was essentially to help banks run its day to day activities. Customers weren’t benefitted directly from it. Of course, it ultimately served the customer indirectly by enabling the banks to function. But there was no direct service to the customers through technology. Customers had to go to the branch to know about their account balance or call the bank branch only to get their basic account information after giving a bunch of information for verification. But this information was critical to many people, particularly people who had small businesses. So, we thought about how we could work with the banks to deliver this information through a more accessible channel. We started to persuade the banks to start SMS Banking service. But the banks were very rigid when we approached. It was understandable, they didn’t want to give us connectivity to their system. After a while some of the forward thinking banks allowed us to start testing. After that we didn’t have to look back. After some successful tests, all the banks expressed interest in having the service. FINTECH: Just a couple of supplementary questions here, which bank was the first to adopt this and what kind of software you used to integrate with the CBS and extract the necessary information? AC: Initially, our thinking was that we would use a foreign software to do this, as banks didn’t trust local software. We got in touch with a number of foreign companies to inquire. But what we found out that service from foreign companies would be so costly that a bank would not spend that amount of money for starting the service. In light of our proposal to the banks that we will make the software locally, we invited them to have the banks’ own IT department test the software for security. So, we created a model, where we created the software and the banks carried out vigorous tests to find if it is penetrable. What ended up happening, everyone was very eager to find out the flaws in our software. Consequently, they discovered for themselves that the software was properly designed, it functioned properly, the security system within the software was adequate and other diligence was observed. The first bank that got on board was AB Bank. And then others followed suit. So, at one point we have 47 out of the 57 banks in Bangladesh partnered with us, in essence making nearly the whole banking industry our partner. However, we didn’t stop there. At first we worked with delivering information to the banks’ customers. Later on, we started SMS Notification of transactions. It is common now, but it was near to impossible back then. We started it. As a result, we came to be known as the most qualified company to integrate any complex and vast system. FINTECH: Yes, CBSs are quite vast in scope. AC: Not just that though. Also important to note is that all the banks had different Core Banking System (CBS). There was no uniformity. Even in case of software from same company, there would be different versions. So, to integrate we had to go through a different journey every time. We were experimenting all the time. We trained ourselves through an elaborate trial and error process. The result is that most of the banking transaction notifications that you get now in Bangladesh is through us. After that we started value addition services with banks. This is around the time when Internet Banking got started. Banks were starting to provide online bill paying service for WASA, DESCO etc. They also started to provide ticket buying service. So, we established connectivity with all these utility bodies like DPDC, DESCO, WASA, Titas Gas; and offered the banks the opportunity to have these bills paid through us by becoming an aggregation. Banks then gave their clients the platforms to pay these bills. In the meantime, near the end of 2010 Bangladesh Bank put out a circulation for online payment, which is e-commerce. We had been advocating long for this. We were bringing this up with BASIS, of which we are a member of course. BASIS facilitated this by talking to Bangladesh Bank. This was finally initiated in December and we launched our own payment gateway platform SSLCOMMERZ. Initially, the financial institutions had a perception that they would be able to do business directly with the online merchants. So, they would sign agreements with the merchants and would solve their payment related issues directly. But that was a bit difficult. Let’s think that you could just give a POS machine to an organization and enable them to make payments using bank cards. But the scenario is quite different in case of the online merchants. You cannot just install a machine to make online transactions. There you will need a website, then you will need a payment gateway integration, and then you will need a cart engine, and then finally you will have to send the money to the merchant’s bank accounts. The whole thing needs a lot of technological process to function completely. Banks can’t do this on their own. The IT department of the banks can’t do it, because they are fully occupied with their own services. That is why it is a third party job. That is the role we played. That’s how our e-commerce side of the business started. Our first step was connecting all the merchants through the payment gateway. At one point we found out that merely connecting is not enough. Many businesses don’t have websites, so we started to make websites for them. But that’s not enough either. Many businesses don’t know how to market their business on the social media and online. We later started our own digital marketing agency named Ngage, which provides online marketing solution to the businesses. Once that is done, there is also the need to deliver the goods to the customers, who bought them online. From that need we formed a new company for e-commerce delivery named Biddyut Limited about a year ago. The whole delivery system of Biddyut is very IT enabled. It has delivery tracking system. The customer can see the current position of the item directly on their smartphones. They can also see a picture of the delivery person, as well as an estimated time of delivery. Both the merchant and buyer can see this information. There is also the option for the delivery person to take a picture of the customer’s house/front door in case they weren’t present at the time of the delivery and update the system with that photo as proof that the delivery person reached the customer’s place. This enables very strong accountability. 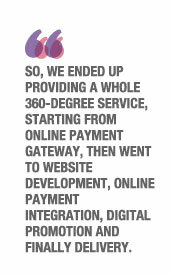 So, we ended up providing a whole 360-degree service, starting from online payment gateway, then went to website development, online payment integration, digital promotion and finally delivery. 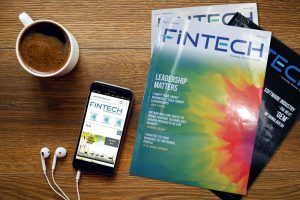 FINTECH: This obviously involves money transaction. What kind of rules or laws are in place to regulate this? AC: That was indeed something that we thought about. That is why we went to Bangladesh Bank and asked them to legitimize our handling of these transactions, or tell us how we can be compliant. Bangladesh Bank told us that there is a guideline, which is called Payment System Operator or PSO, and if we followed that guideline then Bangladesh Bank will initiate the process of formally giving us permission. After that we designed our whole operation following that guideline and went back to Bangladesh Bank after a few months and applied for formal permission. Bangladesh Bank then initiated a lengthy audit process that went on for about eight months. After they were satisfied with our security and all other aspects, they issued us a license called Payment System Operator or PSO license. We are operating under that license. FINTECH: Your website says that you have over a thousand merchants connected to you. Tell us about that and what sectors they represent typically? AC: We actually have more than 1500 merchants with us presently. They are from many different industries. This includes, for instance, the airline industry. Apart from Biman, all other airline companies like Regent, Novo, US-Bangla, have their online payment system connected with us. That’s one industry. Then we have education institutes that accept online payment, like IBA of Dhaka University, other schools and colleges. There are small and medium shops that are connected to us. Bigger companies like LG, Butterfly, Meena Bazaar are connected with us. There are many more sectors that are connected with us. We have merchants in all of these different, what we call, ‘verticals’. We report all the transactions that we handle with these merchants to Bangladesh Bank at the end of each month. FINTECH: Tell us about the connection between your payment gateway and other payment instruments like Visa, MasterCard etc. AC: All the available payment instruments are connected to us. So, all the cards – Visa, MasterCard, Amex – are connected to us. Then we have Internet banking by Islami Bank, Bank Asia, Dhaka Bank etc connected to us. In short, all the banks that have Internet banking are connected to us. Then we have all the mobile banking services like bKash, Rocket, Ucash connected to us. Proprietary cards like Dutch Bangla Nexus card, are connected to us also. FINTECH: What the growth has been like in the online payment system? People seem to be catching up slowly. AC: That’s exactly right. There is a trust issue and trust is established only with time. I tell this at every public forum I speak in, that the government should start to automate its payments immediately and bring them online. That will, I think, finally solidify the trust in people. But just opening up the online option isn’t enough. The offline option should be closed. If from today the government make the rule that you cannot go to bank branches to pay your electricity bill, then you will be compelled to pay online. Once people start to use online payment the trust will grow automatically. That will lead to people accepting online payment for everything else. The most important thing here is that online payment helps everyone. It reduces the cost of cash, it’s a costly thing. The other beneficial thing is that you can trace all payments. That helps tremendously to stop all kinds of illegal transactions. Ultimately this creates a positive impact on the economy. If we can’t create a digital economy, then the ultimate objective of creating a digital Bangladesh is not possible. FINTECH: So, tell us about the technology you use. How you developed this huge infrastructure and what kind of software development mechanism you followed? AC: That’s actually at the essence of our success. We did not use any foreign software, neither have we used any foreign software to make our software. Everything is developed by us, most of which we developed using open source tools. We developed some from the scratch, some we developed with a combination of open source and our own software. But ultimately all have been locally developed by local engineers. But making the system work is not the end of everything. You have to have recognition by global bodies. So, we started working toward PCI DSS (Payment Card Industry Data Security Standard) certification. This certification is specific to the payment card industry. What it does basically is that it looks if your whole environment is secure. Their audit is so exhaustive. They look into everything, not just the machines and software. They looked into personal background of people working in this company. They check if I, for example, had a history of data security breach. After that they come to the system level. They look into the servers, what encryption mechanism we use and so on. FINTECH: That is so comprehensive, as you would expect. How long it actually took to complete the process? AC: It took about two years to streamline the whole system. You have to have log for everything that has anything to do with the system. There has to be a manual, detailing everything that you do and might do and so on. So, now we are a PCI DSS compliant company. 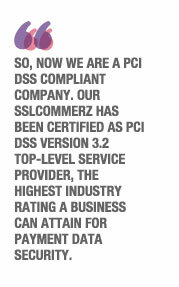 Our SSLCOMMERZ has been certified as PCI DSS version 3.2 Top-Level Service Provider, the highest industry rating a business can attain for payment data security. As a result, we can now host the card data. What that means is that you don’t have to enter your name, card number etc every time at the check point. Once you put that into the system, we can store that and you can pay without the hassle of having to enter them each time. You can now just enter the CVV or pin number and buy with one click. Most importantly what this certification means is that we are now globally recognised. FINTECH: Please tell us about your eTune service. AC: We started out eTunes as a platform, where you can buy songs legally by paying a nominal amount. Later on we adapted to the growing need of video content and started to make music videos under our own banner. You may have heard about the seven-episode Aynabaji Original Series released during the Eid. We bought the digital distribution rights to that. We released that online where people can watch free of cost. We find ways to get the investment back from this by monetizing in through different routes. You can’t force customers to pay. It’s no longer a viable business model to corner customers into paying you. If you try to do that you won’t be able to sustain. We believe that very strongly. FINTECH: Going back to IT, tell us about AlienVault, the USM solution provider that you recently partnered with. AC: AlienVault is a global product made by ethical hackers. Ethical hackers, of course, hack systems and find bugs to determine the vulnerabilities, so that appropriate measures can be taken against real threats. We already have trained ethical hackers in our company. So, AlineVault has that advantage of being developed from the perspective of hackers. It gets constant updates and therefore is equipped to tackle all the latest hacking threats. It monitors every point in the system, including all the switches and so on, and generates alerts whenever there are suspicious activities. This gives the system administrators enough time to see an attack coming. FINTECH: Where it is deployed? AC: It is deployed in any of the servers under the main system and you can train it. It can recognise your different assets. It is called ‘Asset Management.’ Bangladesh e-Tendering System of the Government use this as well. FINTECH: What do you want to do for the upcoming year 2018? Are you bringing anything new this year? AC: Since the beginning we have been introducing the most new and innovative IT product and services to the people of this country. We will continue to do so in 2018 and set to bring out a number of new products. One of these are Payment through QR Code. This will enable the smartphone app users to make a cashless transaction simply by scanning a printed or uniquely generated QR Code with their mobile. Then we are going to launch a mobile app called ‘ZPay’, which will enable its users to store multiple Card data in their smartphone device. So, they won’t have to carry a number of debit/credit cards in their wallet. They will just enter the Card data, number, name etc in their ZPay app. While ordering products at a merchant’s website, they will find a QR code that will include all payment information. The user/customer will just scan the QR code and select the card from which he/she wants to make the payment. The payment will be made instantly after a OTP verification. We also have plans to work in Cyber Security and e-Wallet in 2018. FINTECH: Where do you want to see SSL after five years? What is the vision? AC: We have come a long way as a Fintech company. Our main vision is to simply take it to the next level. We want to take digitalization of payment to the root level, or want to help those who will do it. Since we are kind of in the middle and facilitate integration, we want to hold that position and we want to continue to have a positive impact on the payment industry. 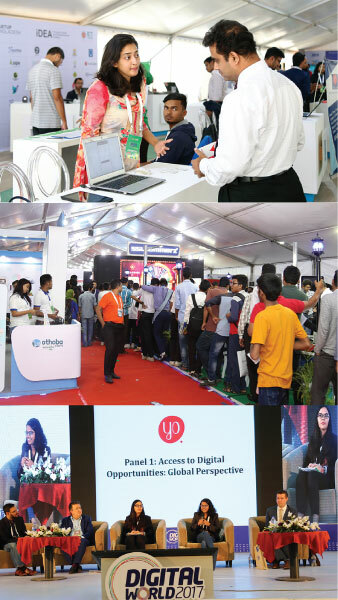 We have been working seamlessly for the digitization of Bangladesh for many years now. By developing cashless transaction method and popularizing it, we can improve our country’s economy at large. FINTECH: Thanks very much for your time. MOBILE GAME DEVELOPING IS NO CHILD’S PLAY: CAN BANGLADESH GET A PIECE OF THE HUNDRED-BILLIONDOLLAR PIE?